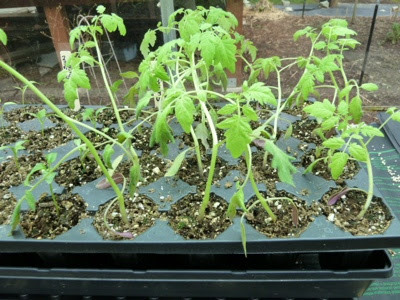 My Home and Garden: Transplanted tomatoes. 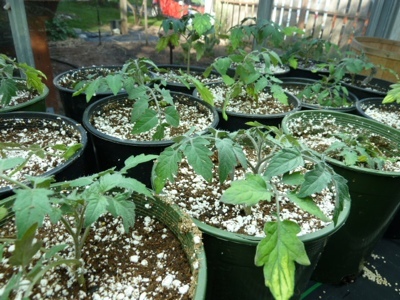 I took the tomatoes out of the tray and potted them up in one gallon pots. It is nice to only have 15 to pot. Last year I went a little overboard. 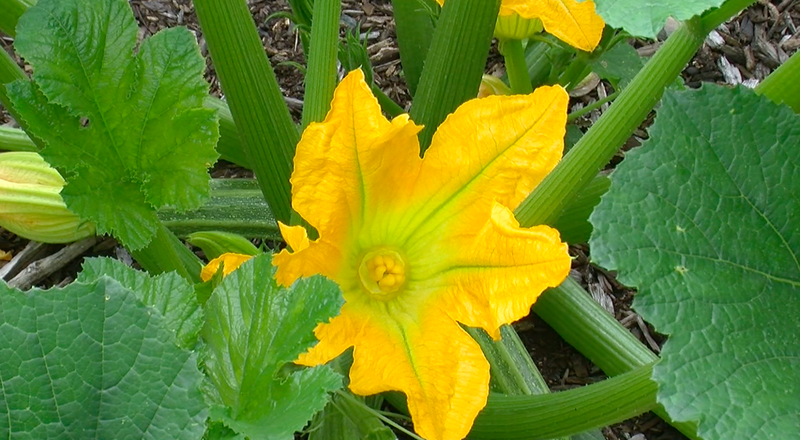 Then I put in some cauliflower, zucchini and spaghetti squash. I cannot wait to EAT THEM!! You grow girl!! They look fantastic. Our tom seedlings are just getting their first true leaves but seem happy. Oh I'm jealous now. My tomato seeds only germinated yesterday! 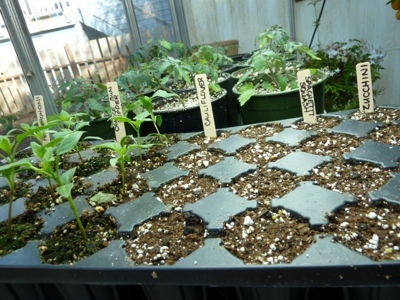 They won't need potting-up for a while... Is the white stuff in those pots Vermiculite? I think it's perlite. I buy bagged soil and this is my favorite mix. I keep a large trash can full of it in the shed.